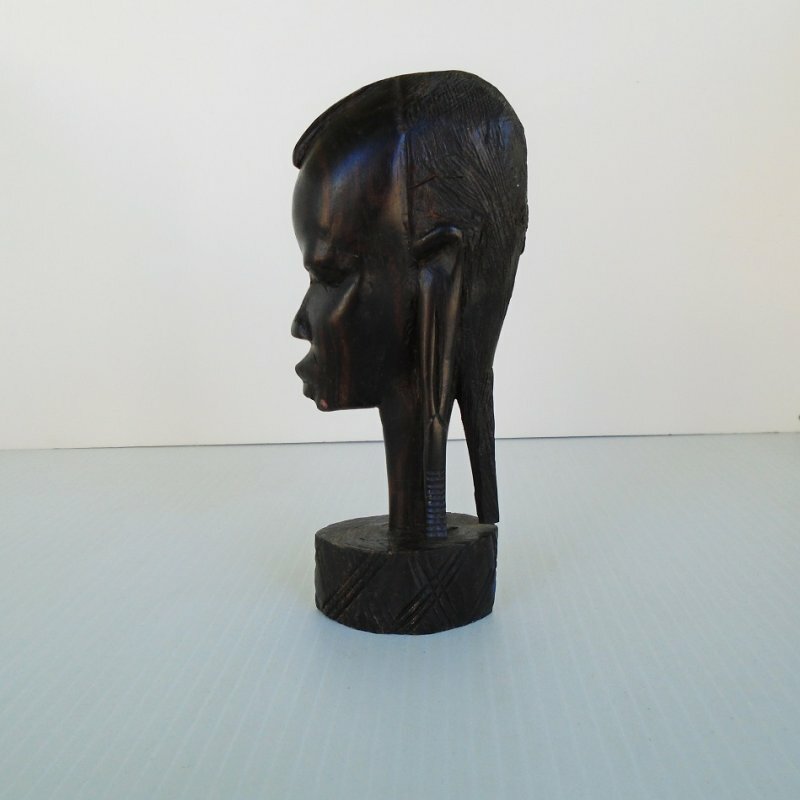 Circa 1960s hand carved African Tribal Warrior head sculpture. Made of a deep dark wood and has sticker stating "Made in Tanzania" on the bottom. I purchased this sculpture recently as an estate sale. There were two different statues and I bought them both. (This listing is for just the one statue you see in my photo). 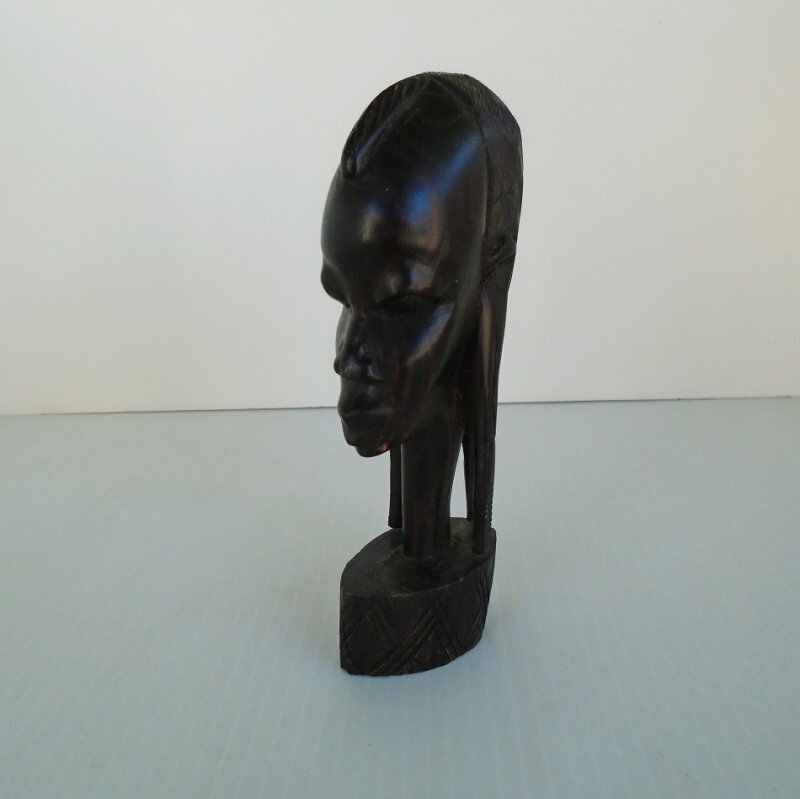 The informational card for them said "Hand Carved African Tribal Sculptures circa 1960s". The statue was carved from a deep dark piece of wood. I believe the darkness is natural as I see no evidence of paint. It stands almost 6.5 inches tall. There is a sticker on the bottom that says "Made in Tanzania". There are no chips, cracks, or breakage. The other statue will be listed also and I do combine shipping if you're interested in both. Delivery will be via USPS Insured Priority Mail packaging from California. Buyer to pay $7.95 delivery charges.